Autologin feature allows guests to connect automatically when they return to a Wi-Fi location they’ve already visited. As soon as the guest device tries to connect, auto-login will authenticate it and enable Internet access based on the account limit settings. It works on all smartphones, laptops, tablets and any device transmitting MAC address. This feature is very suitable for any venue, ISP or hospitality that want to provide seamless login. 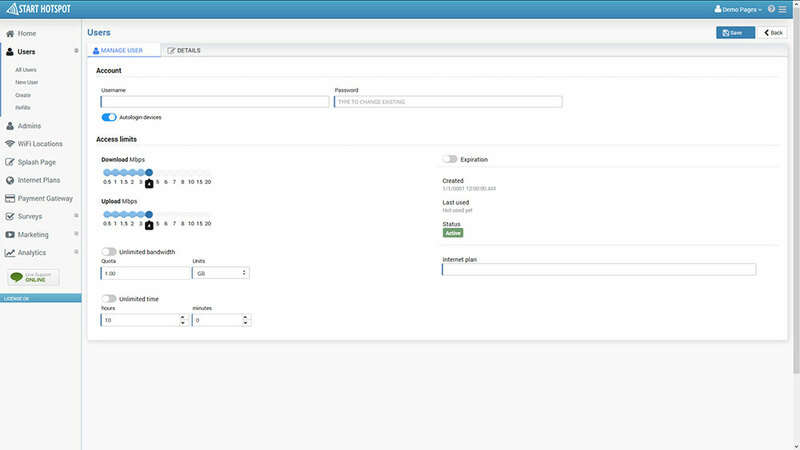 Autologin feature automates login process. After initial login, customer will no longer be prompted for username and password. This significantly improves ease of use and customer satisfaction. Confgure download and upload limits to keep up your WiFi running for all customers. Video streaming websites can easily crash WiFi with lower capacity which will prevent other user from accessing it. 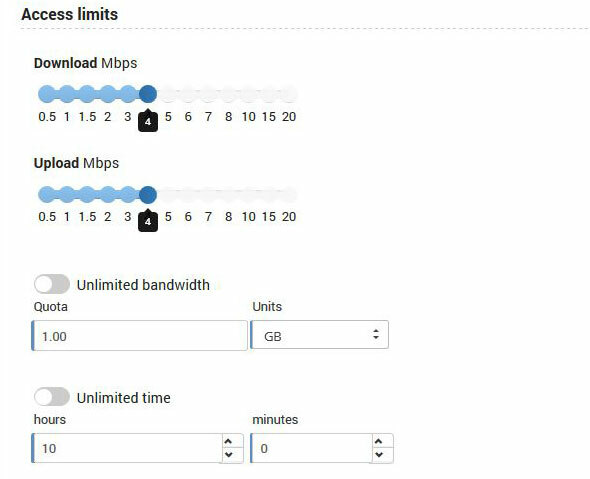 In addition, you can configure other limits like bandwidth quota allowed, so you can ensure that WiFi stays up and running and all customers are happy. 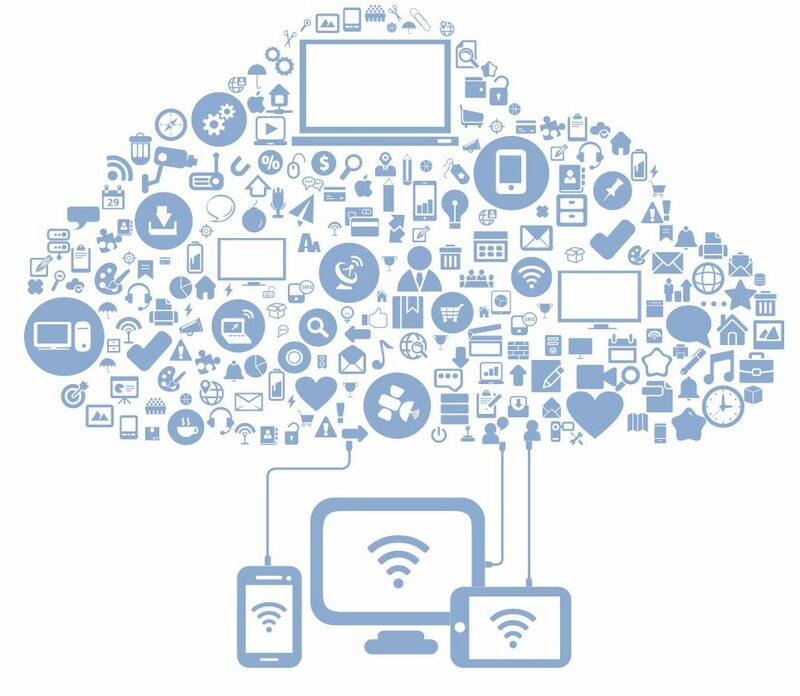 It’s time to upgrade to Start Hotspot Cloud WiFi and forget passwords. After connecting to your WiFi, customers can click on a preferred social network and start enjoying WiFi. No pass, fast and simple. Your staff will get more for their job and customer will apreciate simple access.